Durable steel base with foot-rest ring is height-adjustable. 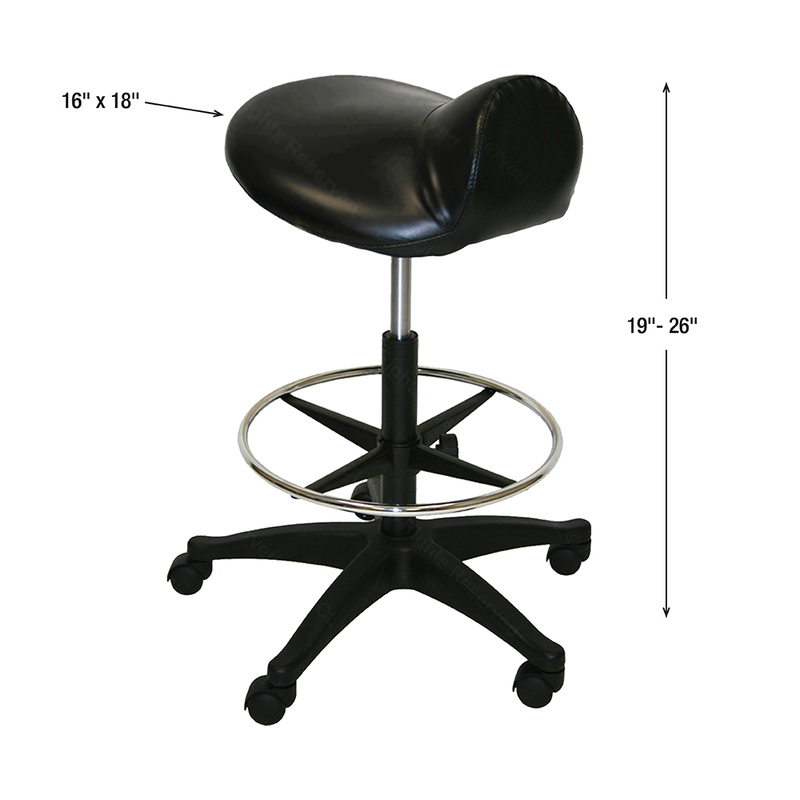 This deluxe extra-large saddle stool is stylish, durable, and comfortable. Perfect for sitting long periods behind your welder, microscopes or bench/desk. The saddle seat measures a very generous 16" long by 18" wide and the seat is 3 inches thick to provide maximum comfort. The black PVC leather is easy to care for, clean and durable! The chrome coated steel base has a foot-rest ring that is 18” in diameter and the height-adjusts from the floor 8” to 13 1/2” allowing you to tailor the foot-rest for your maximum comfort and productivity. The easy-glide air-lift pump allows you to set the height of the stool as desired. Seat height ranges from 19” to 26”. The star base is 24” wide and provides extra stability. Five smooth rolling casters allow for easy mobility. Made in China.